We’re fortunate here in the South that springtime arrives fairly early. While friends to the North are still shoveling snow, we’re witnessing the first buds of trees and flowers. A few days ago we posted the above photo of wisteria to our Facebook page and it spread like wildfire with 401 shares. So, we thought you might like to learn a little more about this lush lavender flower. Wisteria (also spelled wistaria) vines will twist themselves around just about any structure and some varieties are quite invasive and will choke out other plants. 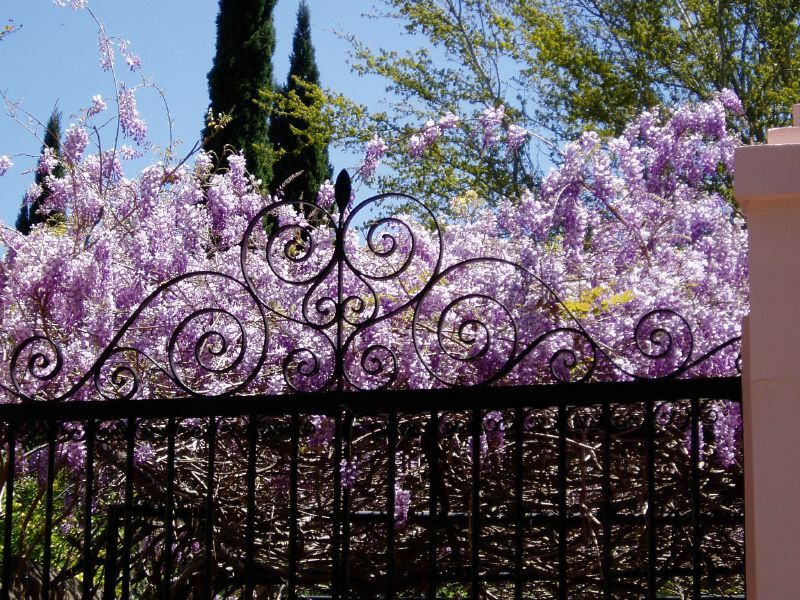 The world’s largest wisteria vine lives not in the South but in Sierra Madre, Calif., where it measures an acre in size and weighs 250 tons. Not sure we want the job of watering and pruning that one! Wisteria comes from the pea family and has 10 species of climbing vines native to the eastern United States and China, Korea and Japan. Our friends at the Charleston Parks Conservancy offer up some tips for those interested in planting wisteria here in the South, including recommendations for a native plant that’s not invasive. Let’s see some of your wisteria photos! Feel free to share on our Facebook page.